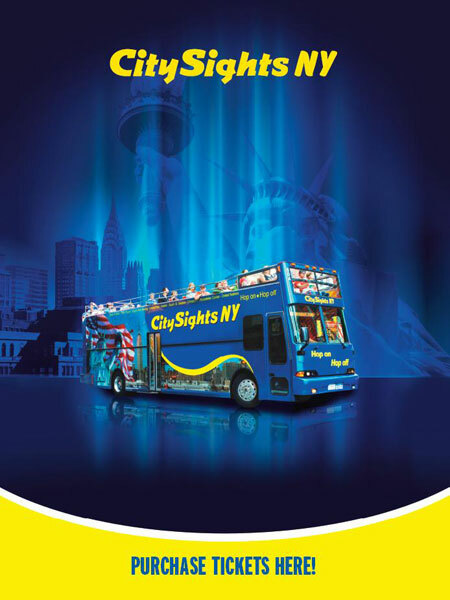 See New York from the top with CitySights NY's double-decker buses — double-deckers which are top-seating only (enclosed in winter), so that everyone gets an unobstructed view of NYC attractions, neighborhoods, and places of interest. Buses are furnished with state-of-the-art sound systems and entertaining urban-storytellers who offer interesting facts and tales about all of the city's famous faces and places. They also feature combination tickets, day trips to Niagara Falls, Boston, Philadelphia, and more. They also offer tours in five languages (Italian, French, German, Spanish and Portuguese) by way of an audio headset that plugs into a player at each seat. See the entire city and enjoy the flexibility of discovering New York City, your way. Downtown’s popular sites (like “Ground Zero” and the Statue of Liberty), the wonders of Uptown and Harlem (like Museum Mile and the Apollo Theatre), the splendors of Brooklyn (including the spectacular Brooklyn Bridge), a Night tour (where the city really glitters), plus our Hop-on, Hop-off Sightseeing Ferry, along the NYC waterfront and free admission to the Museum of the City of New York, where ever-changing exhibits show you about the city’s past, present and future. Do as little or as much as you want. Offered in five languages. Looking for Group Tickets of 12 or More? Got a group headed to New York? 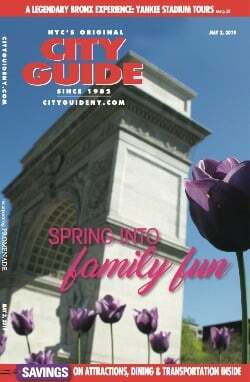 City Guide provides free expert planning assistance and buying services-just complete the quick form below.